The opening ceremony will be held in Dubai on February 14 just before the first match begins. The fourth edition of the Pakistan Super League (PSL) will commence on 14 February 2019. The tournament will be played for over a month and concludes with the final that will be played on 17 March 2019. A total of six teams will battle out in 34 games this season before the ultimate winner is decided. 26 of these matches will be played in the United Arab Emirates (UAE) and 8 games will be played in Pakistan. The Dubai International Stadium (Dubai), Sharjah Cricket Association Stadium (Sharjah) and the Sheikh Zayed Stadium (Abu Dhabi) are the three venues finalised for the league in the UAE. In Pakistan, matches will be held at the National Stadium (Karachi) and the Gaddafi Stadium (Lahore). The opening ceremony will be held in Dubai just before the first match begins. While five games will be played at Karachi, Lahore will host three. For the first time, four matches will be played in Abu Dhabi. The tournament will follow a double round-robin format that will be followed by the playoffs. Each team will play 10 games and the top four teams on the points table will qualify for the knockouts. Live Streaming – CricketGateWay, SuperSport digital platform, Willow TV digital platform. 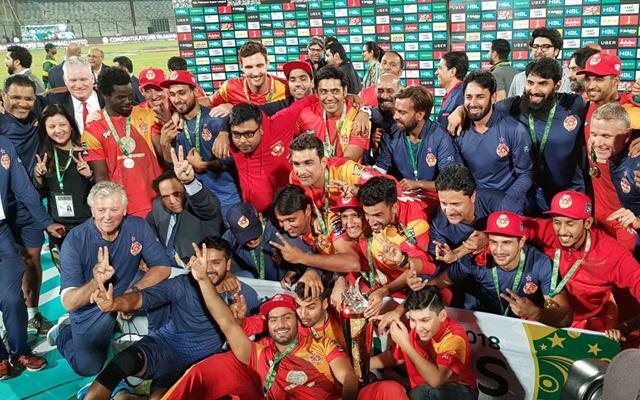 Get the latest Cricket News and updates from Pakistan Super League League, Match Predictions, Fantasy Cricket Tips and lots more on CricTracker.com.